Desi Smith/Staff Photo. 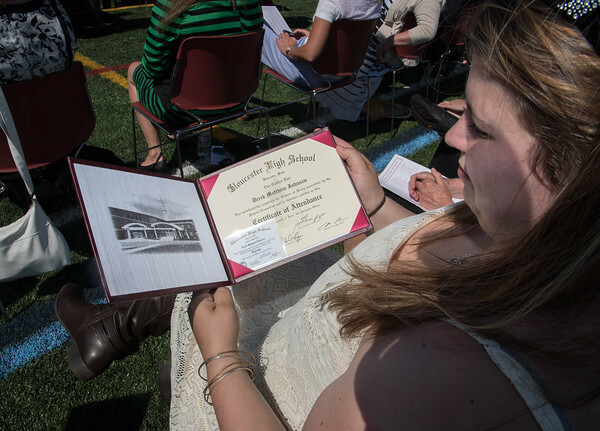 Britney Tarantino a 2010 GHS Graduate, looks over her late brother Derek Johnsen’s diploma after receiving his diploma in his memory Sunday afternoon at New Balance Track and Field at Newell Stadium. June 14,2015.